At the carpark, we were greeted by the resident peacock, Ranger Kenneth. He seems to be somewhat of a celebrity, with his image on signs, his own plush toy and a Facebook page. He only had a few pretty tail feathers, so I didn't take a pic. Oops. Sorry, Kenneth - next time. 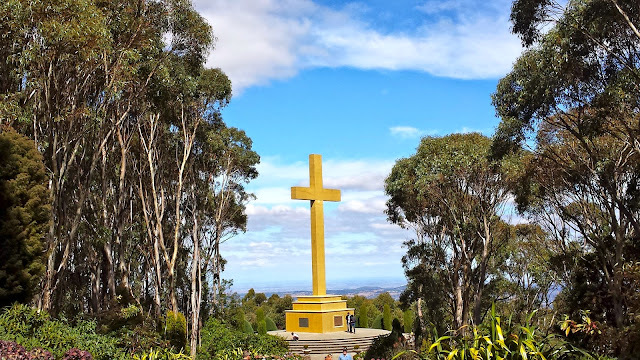 A short walk past the vibrant red maple trees and down a hydrangea lined path and the huge Memorial Cross rises a whopping 21 metres from the summit of Mount Macedon, into the blue sky above. Originally built in the 1930's by a local resident, it was damaged throughout the years and replaced in 1995. With views stretching all the way to Port Phillip Bay, it is an impressive scene to behold. 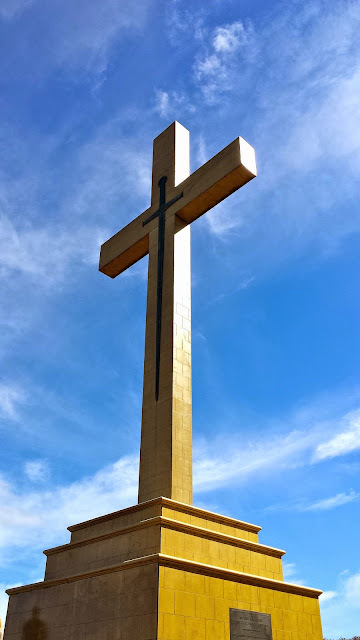 The Memorial Cross is a significant war memorial and would be a special place to pay your respects on Anzac day, to those who fought in the wars. Back up towards the carpark, the Major Mitchell Lookout offers a panoramic view of Wombat State Forest. 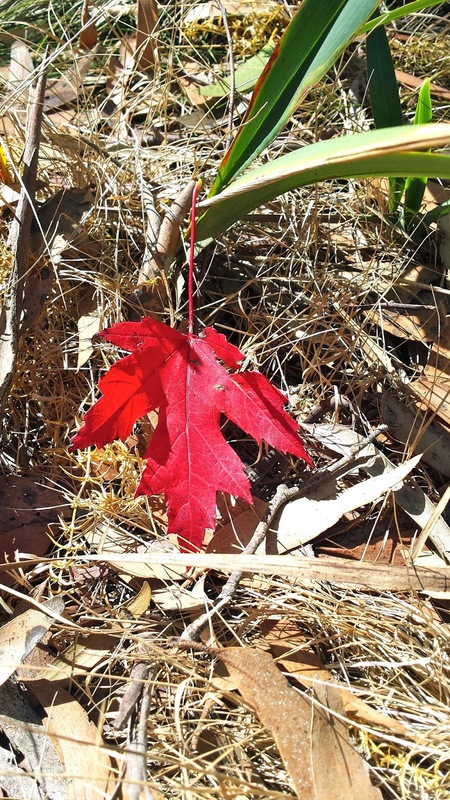 There are other walking trails to follow, and plenty of flora and fauna to see. 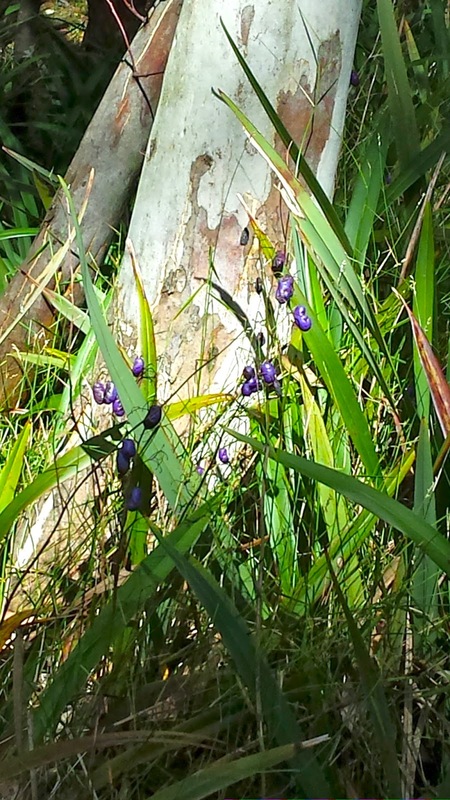 The sound of Kookaburras laughing filled the air, the whole time we were at the Cross. 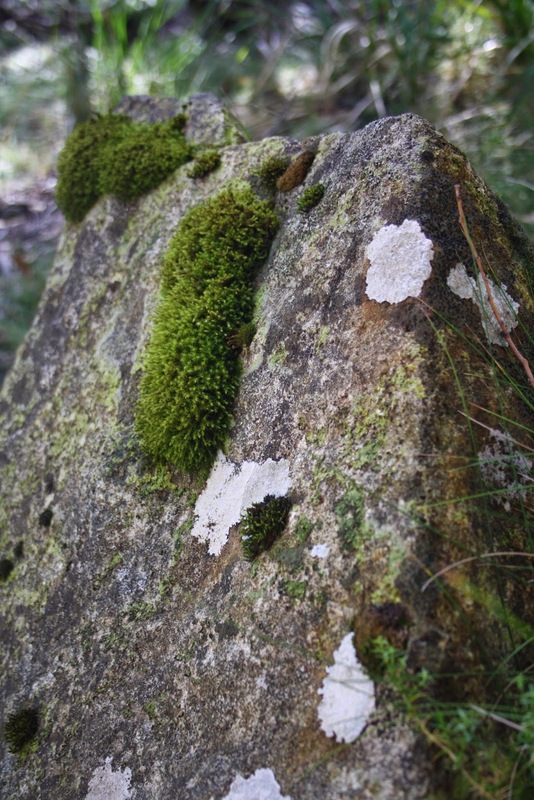 On the large rocks along the path, the soft mossy patches of varying colours are as interesting as the wildflowers and leaves. 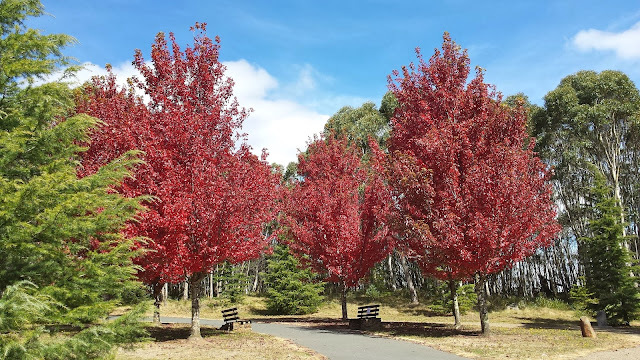 The journey up to Mt Macedon is just as good as the destination. On both sides of the road, gargoyles and lions sit atop fenceposts and gates to sweeping driveways - keeping an eye on visitors to the sprawling homes and magnificent gardens behind each gate. Some gardens, such as Forest Glade, are open to the public. We ran out of time on this visit, but will be back to explore the 14 acre property another day.